Universal speed controller for AC (brushless) motors suitable for aircrafts, helicopters and quadcopters. Max. continuous current: 12A. 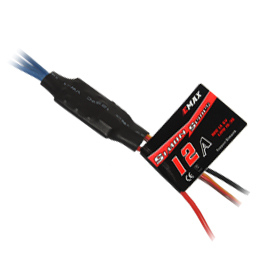 The speed controller is not compatible with Hitec Aurora 9, Hitec Lite 4 and some Turnigy transmitters.